Xylitol is a natural sugar alcohol that can be found in the fibres of many fruits, vegetables and trees. After processing, Xylitol looks and tastes almost exactly the same a regular table sugar but with 33% less calories and some beneficial side benefits. The healing properties of xylitol was known to man long before scientific discovery and experimentation isolated the chemical from Birch trees. Native Americans were already aware of the healing properties of birch extracts and actively using them for medicinal purposes. Since then, science has approved its use for consumers and now, medical practitioners are recognizing the health benefits of Xylitol as well. Granular Xylitol can be used to sweeten beverages. Xylitol can be used instead of sugar when baking. Used in the manufacture of candies, chocolate, chewing gum and breath mints. Xylitol can be used as an active ingredient in toothpaste, mouthwashes, breath mints and chewing gum. Xylitol has a low glycemic index of around 12 (normal sugars have a glycemic index of up to 100). Although Xylitol tastes sweet it does not elevate blood sugar levels and cause the same toxic side effects as sugar. Regular sugar feeds and energizes oral bacteria causing a build up of plaque and a risk of cavities. Xylitol on the other hand effectively starves and kills harmful bacteria resulting in less plaque and better oral health. Xylitol has 33% less calories than table sugar. Saliva is natures way of protecting teeth. Xylitol stimulates health saliva to help teeth remineralise teeth and keep them healthy. Studies suggest that Xylitol can increase collagen production and improve skin quality. Although Xylitol tastes exactly like normal sugar, it does not have the same harmful effect on the teeth. The main difference being that sugar feeds and nourishes bacteria where as Xylitol weakens and kills it. To understand the benefits of Xylitol it is important to understand the role of sugar in dental disease. Sugar consumption definitely does have a direct effect on dental health (1). It is, however, a slight misconception that sugar alone damages teeth. 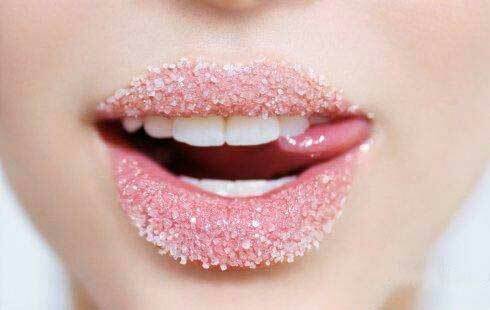 It is true that sugar can cause the mouth to become too acidic for healthy teeth but it is actually the bacteria that feeds off the sugar that causes the most damage. Without bacteria being present, a moderate amount of sugar is relatively harmless in a healthy mouth. In a mouth with aggressive bacteria however, sugar is extremely destructive. The sugar supplies energy to the bacteria which in turn produces acidic toxins that weakens and corrodes tooth enamel. As the bacteria multiplies, more and more acid is produced which effects the natural PH balance of the mouth, leading to even more damage. This build up of harmful bacteria is what is known as plaque. Daily teeth cleaning and flossing are required to combat plaque and remove it from the tooth surface before the acid wears right through the enamel. Although a proper cleaning routine is vital for maintaining dental health, teeth cleaning is only dealing with the build up of plaque and not the bacteria that cause the plaque in the first place. When used correctly, Xylitol can have a dramatic effect on dental health. Unlike normal sugar, Xylitol does not cause the mouth to become acidic and corrosive to teeth. Instead of lowering the PH of the saliva it actually increases it to an alkaline level that is conducive to healthy teeth. When bathed in alkaline saliva, teeth will naturally become stronger, healthier and more resistant to bacteria. The other important characteristic of Xylitol is that unlike sugar, it can’t be processed by bacteria for energy. Eating regular amounts of Xylitol will actually starve, weaken and ultimately diminish harmful bacteria in the mouth allowing the teeth to remineralize and repair themselves. Xylitol is regarded as a perfectly safe alternative to sugar. Studies with controlled groups have shown that people who use Xylitol over a long period of time have no detrimental physiological changes or side effects. However, Xylitol can act as a mild laxative and cause diarrhea in some people. It is recommended to start with small doses to begin with or consult your doctor if you are unsure. Xylitol is however toxic to dogs, even small amounts can prove fatal to canines so it is important to keep xylitol out of harms way and never treat a dog with any product containing Xylitol. How much Xylitol should you take? Even just two table spoons a day can significantly improve dental health but it is perfectly acceptable to replace sugar with Xylitol at a 1:1 ratio. Studies have shown that even when consumed in quantities as high as 400g a day, xylitol does not cause any adverse effects.